WHAT IS MISSING FROM EMPTY BOX ? 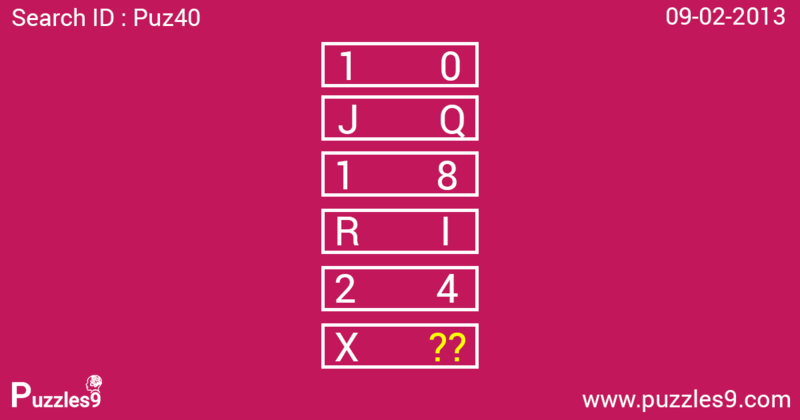 From the top, using the first 2 digit figure, the left hand letter below equals the alphabetical value of this figure and the right hand letter below equals the reverse alphabetical value. for example, 10 in first box equals to J from the beginning and Q from the reverse if you assign a to z as 1 to 26 in forward as well as reverse. in last box, from reverse 24 is equals to C.